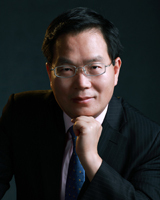 Xiaosheng, the founder and managing partner of Law Huang, hails from the Funiu Mountains at NanzhaoCounty of Henan, China. His academic credentials include a science degree in Geography from East China Normal University in Shanghai; law degrees from Foreign Affairs College in Beijing and the University of Notre Dame Law School in Notre Dame, Indiana. He also studied at a Ph.D. program at Fudan University in Shanghai. Attorney Huang has successfully represented a diverse range of over 2,000 American, Chinese, and international clients since 2002. He is a member of Bars of the State of New York, the U.S. District Court Southern District of New York, the U.S. District Court of Western District of New York, the U.S. District Court for the District of Columbia, U.S. Immigration Court, U.S. Court of International Trade, U.S. Courts of Appeals for the DC, 2nd and 9th Circuit, and the U.S. Supreme Court. He is a member of American Trial Lawyers Association and American Immigration Lawyers Association. His practice areas cover federal criminal defense, removal defense, human rights, and Sino-U.S. investment and trade. At age of 21, Xiaosheng was an elected People’s Representative of Putuo District in Shanghai, China. He also served as Chairman of the Chinese Association of Las Vegas from 2004 to 2008, and at present as its Honorary Chairman. Xiaosheng enjoys writing in his after hours. He authored a best-selling book entitled “Suing the USA” published in Beijing and Taipei in November 2006. He currently is creating his second book, a novel, which is due in 2020 in both English and Chinese. Bill Marvin received a Regents Scholarship from the State of New York and attended SUNY Cortland, graduating in 1973 with a Bachelor of Arts degree in History and Political Science. Subsequently, Bill was commissioned a Second Lieutenant in the U.S. Marine Corps. His early assignments included service as an infantry officer in a deployed Battalion Landing Team during the American withdrawal from Southeast Asia and as a staff officer at Headquarters U.S. Marine Corps administering the Marine Corps reenlistment program. As one of several officers selected to attend law school while remaining on active duty, Bill graduated from California Western School of Law in San Diego in 1981 with a Juris Doctorate and was admitted to the Ohio Bar. Following a series of legal and operational assignments of increasing responsibility and complexity, including service as Staff Judge Advocate to the Commanding General of the 1st Marine Division, Bill resigned his commission in 1989 and became a Trial Attorney for the U.S. Department of Justice, specializing in immigration issues. 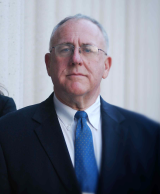 In 1990, Bill organized and became president of a startup company that pioneered the delivery of investigative and litigation support to a vast sector of American business. During the 1990’s Bill was Chairman of San Diego County’s Republican Party (1997-99), Treasurer for California State Assemblyman and later Senator Bill Morrow, a member of the California Commission on Criminal Justice, and a senior advisor to the Mexican Congress. Bill also was New York Governor George Pataki’s personal representative to the Mexican government. As an international legal consultant during this period, Bill represented and advised many large international companies including Cubic Corporation and Skanska. Bill retired from the U.S. Marine Corps Reserve in 1997, with the rank of Lieutenant Colonel. In 2002, acting as General Counsel and specializing in international business development, Bill helped his wife form Salazar Communications; today, Salazar is the leading provider of specialized marketing and public relations services in Las Vegas, Nevada, the fastest growing region in the U.S. Please see www.salacomm.com. Bill is a member of the New York Bar, and is admitted to practice before the U.S. Supreme Court and all of the federal immigration and military courts. 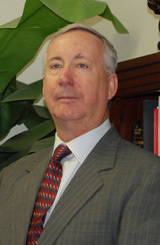 Donovan J. Dunnion, Esq. is a highly effective criminal defense attorney who specializes in complex cases involving high profile defendants. Don is a distinguished graduate of the University of San Diego Law School and a long-standing member of the California Bar. Don’s tenacity and vast experience as both a federal prosecutor and defense attorney enables him to provide comprehensive legal advice and representation throughout every stage of the legal process. Don is an expert in all aspects of criminal law including narcotics, money laundering, smuggling, conspiracy and bribery. As a commissioned officer in the United States Naval Reserve, Don served on active duty with Naval Special Boat Squadron One, Naval Special Warfare Command, and with other Commands in the capacity of Intelligence Officer. .
Anthony M. Wright, founder of The Wright Law Offices, PC, is a Native Las Vegan. He graduated at the top of his class from the University of Nevada, Las Vegas with a degree in Business before attending law school. 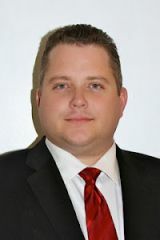 He graduated from William S. Boyd School of Law in 2004. With twenty years of education behind him, he puts it to use helping clients through some of the most difficult times in their lives, including with family disputes and personal injuries from accidents. Anthony spends most of his time on family matters, but does work on the occasional criminal case, including traffic tickets. However, he can be reached to discuss any legal matter do ascertain whether he can help or whether another attorney would be better suited. Anthony has worked on business licensing, land use, and contracts matters and also knows lawyers who are experts in these fields. Mr. Jacks is a Las Vegas native and has called Las Vegas home for over 33 years. He joined the U.S. Army, served for over two years anddischarged under honorable conditions. After his college graduation, and before entering law school, Mr. Jacks went to a pilot school and obtained his pilot’s license.After graduating law school in 2010, Mr. Jacks passed the Nevada Bar and founded The Jacks Law Group, PLLC. 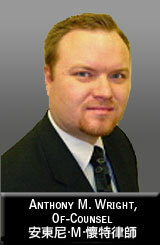 He practices Criminal Law, Family Law, and part of Immigration Law. Mr. Jacks is committed to technological advances and efficiencies, which allow The Jacks Law Group, PLLC. to remain on the cutting edge of the law while representing clients effectively. The firm use modern technology, including online resources for up-to-date law, which is vital to cases, investigation into parties.